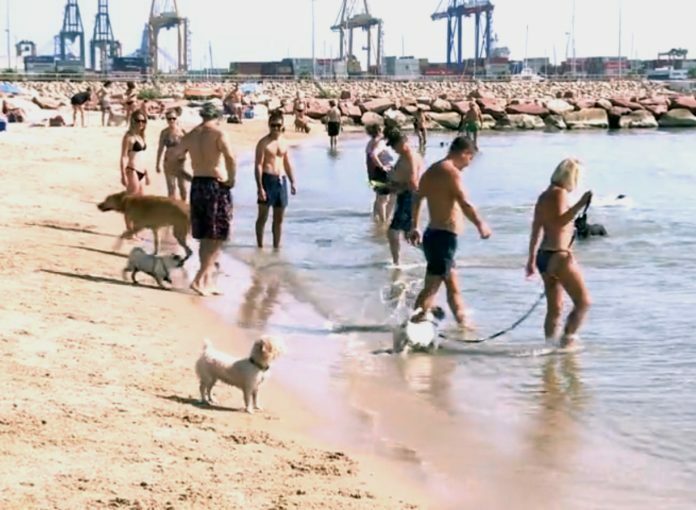 Torrevieja’s Local Police had to intervene on Sunday morning to calm down a confrontation between the users of the Cala del Moro – Mal Paso canine beach and local residents, who continue to object to the use of their community beach by dogs. Following the court order that was published in accordance with the requirements of article 36.3 of the Beach Ordinance a large signpost was established on the beach declaring its authorisation for use by animals but as quickly as the signboard was erected it was just as swiftly torn down. As such, on Sunday morning, members from the community of residents called the Local Police to complain that there were many users with dogs who were using the beach without authorisation. 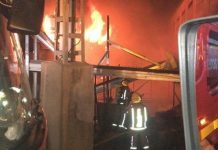 According to eyewitnesses, the officers spoke to bathers who were accompanied by their dogs, while a number of the residents shouted abuse and threats toward the bathers. It seems that neither the decree issued by the mayor in early summer, nor the imminent end of the holiday season, and not even the court ruling can prevent the conflict from continuing almost every day. What also continues to complicate the mediation work of the police is their ignorance as to the limits of the dog beach. In the case of Cala del Moro is it the whole stretch? On Sunday, to avoid further conflicts, the police re-reserved that part of the beach area with sand and footbaths specifically for regular users and for the residents of the area in the hope that they could avoid any further conflict.